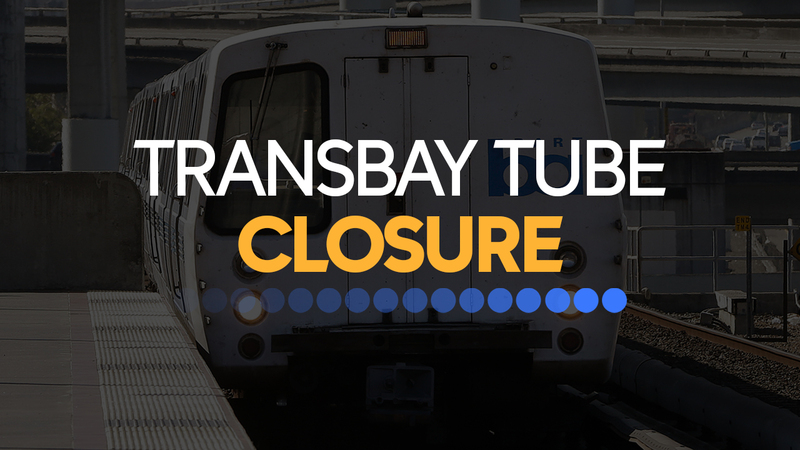 The BART Transbay Tube is closed over the weekend of Sept. 5-7, 2015. OAKLAND, Calif. (KGO) -- BART has shut down train service between Oakland and San Francisco over the Labor Day weekend, Sept. 5-7, so workers can rebuild a section of track near the Transbay Tube. Train service stopped at the end of service Friday, Sept. 5 and remain closed until the start of service on Tuesday morning. BART also wants to remind people since Monday is a holiday, BART will operate on a Sunday schedule that day. Nearly 100 buses will continuously shuttle passengers between 19th Street BART Station in Oakland and San Francisco's Temporary Transbay Terminal. The West Oakland BART Station will be closed during the shutdown. If West Oakland is your home station, there will be a shuttle available to take you to 19th Street/Oakland station. BART released video clips to help people navigate their way to and from the Transbay Terminal to the Embarcadero BART Station. AC Transit, Sam Trans, Muni and Golden Gate Transit will all be providing extra buses for BART passengers. San Francisco Bay Ferry will be running extra routes as well.